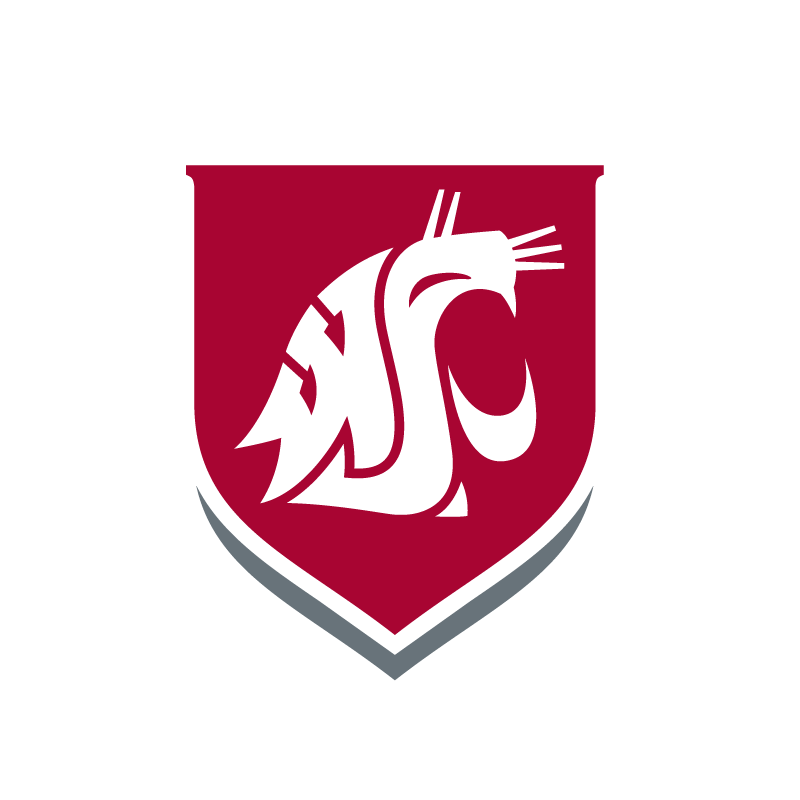 RICHLAND, Wash. – Students will highlight semester course projects, research and art as part of the fall Undergraduate Research Symposium and Art Exhibition on Dec. 11 and 13 at Washington State University Tri-Cities. A student presents at the WSU Tri-CIties Undergraduate Research Symposium and Art Exhibition in spring 2017. 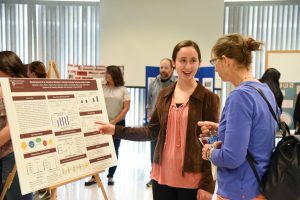 Students will present posters of their research and course projects both days from noon – 1 p.m. in CIC 120. The art exhibition will be held from noon – 1 p.m. on Dec. 13, in the CIC Art Gallery. 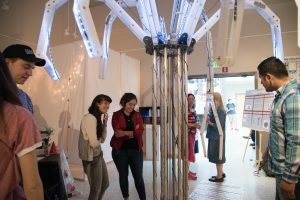 Art and engineering students present on their project as part of the Undergraduate Research Symposium and Art Exhibition in spring 2017.